The Ross Rams were voted the Gold Star Chili Team of the Week for Week 4 after defeating Western Brown 13-7 to move to 2-1 on the year. The Rams finished with 1,383 (52.69 percent) of the 2,625 total votes tallied, edging out Anderson and Miamisburg in the voting conducted at TriStateFootball.com. Aiken, Batavia, Mariemont, Mason, Purcell Marian, and Simon Kenton were also nominated. 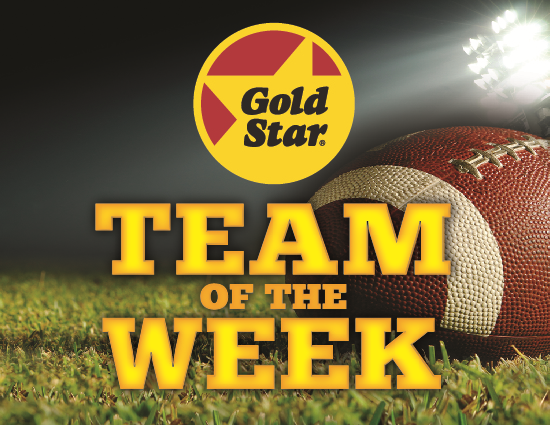 As the Team of the Week winner, Ross will be presented an award at the school in the near future from our friends at Gold Star Chili.